Jay Leno's Garage on youtube yesterday was all about the new Vantage. I wasn't a big fan of the new design but the one on the show looked and sounded fantastic to me. 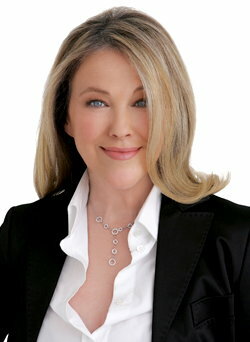 I thought she looked like Catherine O'Hara's (Saturday night live fame) Daughter. 32 and I rather dislike the exterior styling; I just don't think it has the same elegance of the previous cars. Oh well, can't afford a new one anyway! I'll be delighted to find an early 4.7 Vantage eventually. So I guess the overall consensus is that we all hate the new designs? It seems so - but what's telling is dealers stock of Vantages. I hope Aston is listening to the dealers who I'm sure are not thrilled with their overstock. I'm not hearing we all hate it, I'm hearing we miss the elegance of the previous, some actually really like it, some are buying it, and some will consider it when it's time to replace theirs. But the vast majority of us will always believe the original was one of the most beautiful cars ever built, and that's a really tough spot for AM to try and follow up. No, it's never going to be as emotionally beautiful as the original V8V, with some tweaks it could still be a good looking car. Only time will tell how it evolves and how our taste evolves with it. Do you like or dislike rear wiper, and why? What do you like/dislike about detailing? Where do you live... what do you like and dislike about living there? Clutch Time for me - what do you like or dislike about yours?